As part of conversion works at the Alte Oberpostdirektion (Old Main Post Office) in Hamburg, the listed building on the Stephansplatz was extended with a new, fourth floor being added. The “Stephanspalais”, as it is known, serves as a Center for Wellbeing, and accommodates retail stores and a community medical center. 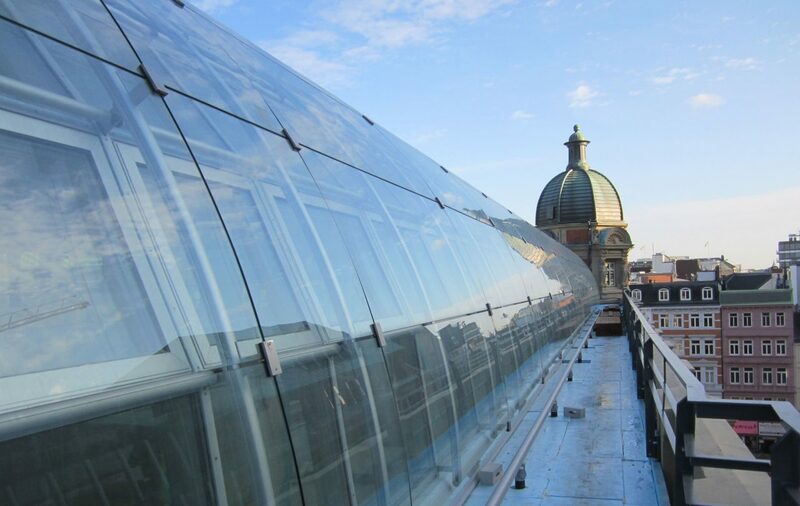 The uppermost floor of the listed building was given a steel and glass facade. This curved construction is designed as a second-skin facade. 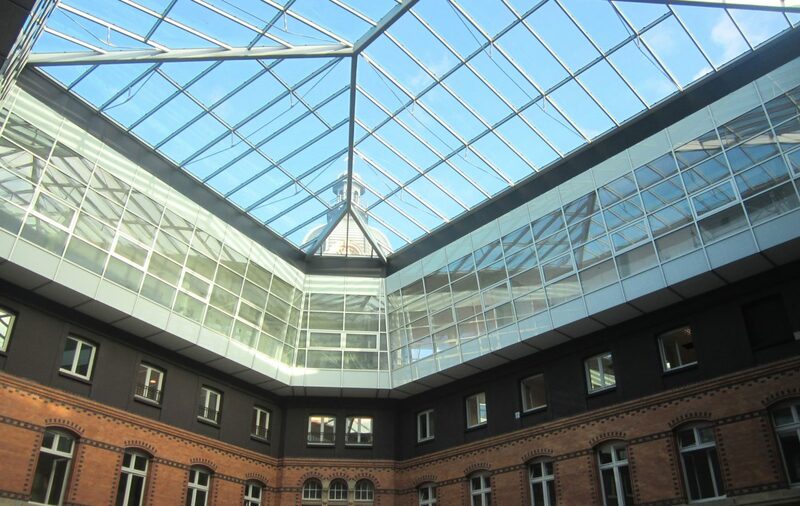 The inner courtyard of the Palais was covered using a steel and glass structure. 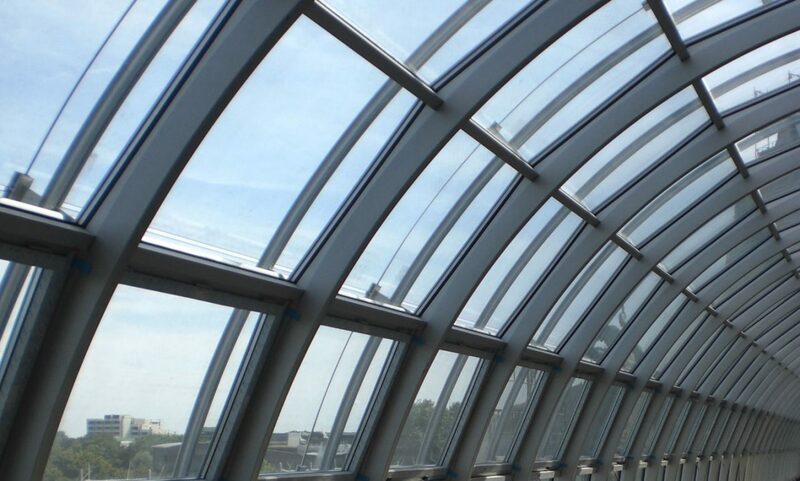 Adjoining the glass roof to the side, an aluminum post and beam facade was installed. The converted building has achieved the internationally recognized LEED® Gold seal.